Get your FREE Sample issue of Aviation News incorporating JETS Magazine today! As Britain’s longest established monthly aviation journal, Aviation News is renowned for providing the best coverage of every branch of aviation. Each issue has the latest news and in-depth features, plus first-hand accounts from pilots putting you in the cockpit and illustrated with the very best photography. Covering both modern military and civil aircraft as well as classic types from yesteryear, Aviation News covers subjects from World War Two, through the Cold War years to present day and beyond. 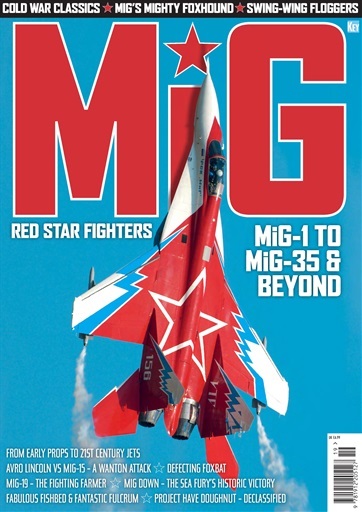 Now incorporating JETS magazine, Aviation News brings you the best of both magazines. Looking for Aviation News incorporating JETS Magazine in print? Unfortunately pocketmags.com does not sell print copies of Aviation News incorporating JETS Magazine, but all is not lost. Our partner at magazine.co.uk sells print subscriptions at the best prices online. You'll receive 12 issues during a 1 year Aviation News incorporating JETS Magazine magazine subscription. Great Aviation Mag with all your airline and aircraft news + air force reviews. Fantastic to find this mag on here as it's the best aviation news mag out there. I found that this app works really well now that I've discovered how to fix the loading issue. You just have to hold the loading image for 3seconds which refreshes the page which is easy really. amazing mag, if you know a avaiation fan then this is a great pressie! You'll receive 12 issues during a 1 year Aviation News incorporating JETS Magazine magazine print subscription.